Multi-purpose, plastic safe lubricant, penetrant and corrosion inhibitor that helps prevent electrical malfunctions caused by water penetration, humidity, condensation or corrosion. 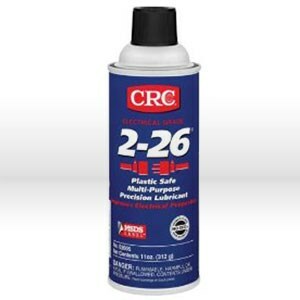 2-26 drives out moisture and leaves a thin, long lasting film to protect against corrosion. Excellent for use around modern plastics and insulators.